For me, it’s certainly a close call between Adam and Jamie. 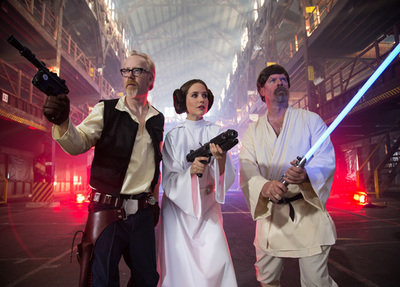 Who is your favourite MythBusters’ presenter and why? I like Jamie, he has a sense of humour but he isn't over the top the like Adam. The other hosts always just seem like extras to me. Bold & The Beautiful – Is Ridge out of line? Neighbours - Should Naomi go to the police? Neighbours - Does Tyler have a genuine romantic interest in Piper or is he confused about his feelings?